​Help women reach their potential in 2019 by hosting a Vision Board Party with a ​Goal Setting Workshop! Great opportunity to raise funds for a special purpose or earn some extra income. Fun and interactive event that encourages fellowship. 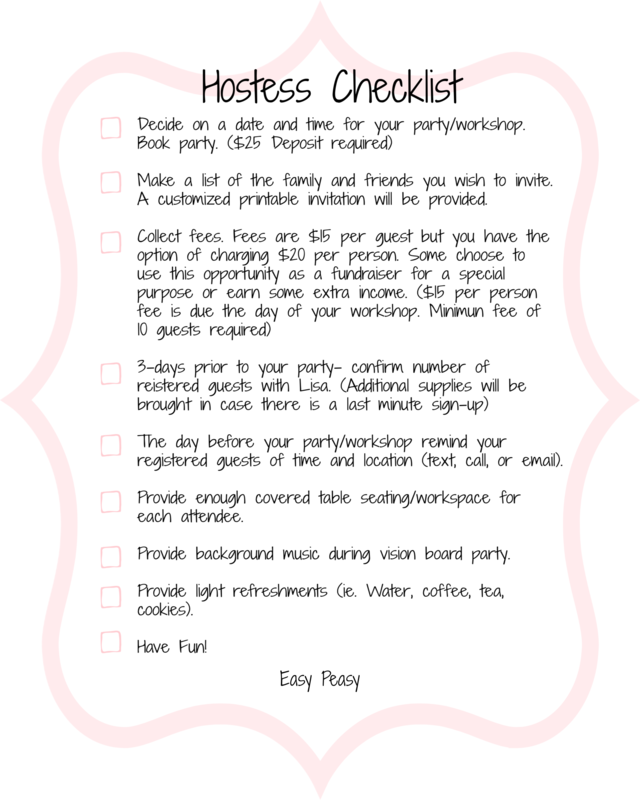 Download a copy of the Hostess Checklist to discover how simple hosting a party can be. Contact Lisa to Book Your Party! (*Ten person minimum required) Call to reserve a date and time (831) 783-0886 or use the contact form below. Or if you have questions please use the form below.